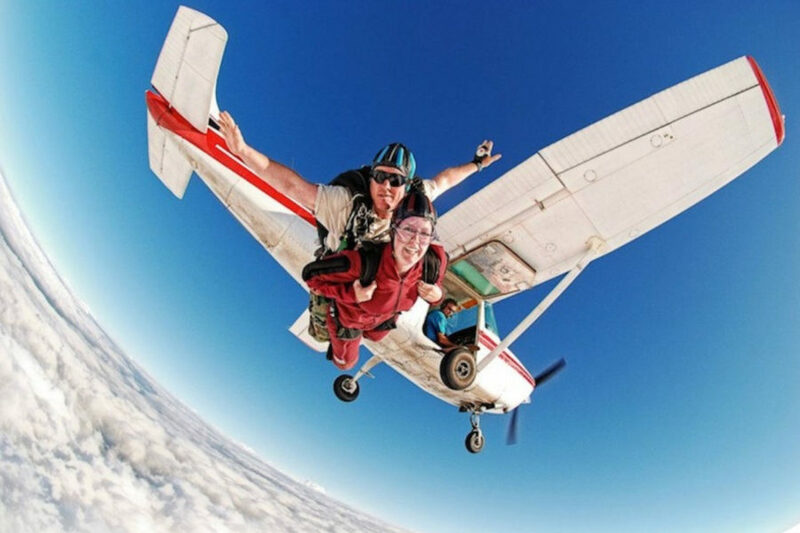 Skydive Monroe is proud to fly one of the nicest jump ships in the skydiving industry! 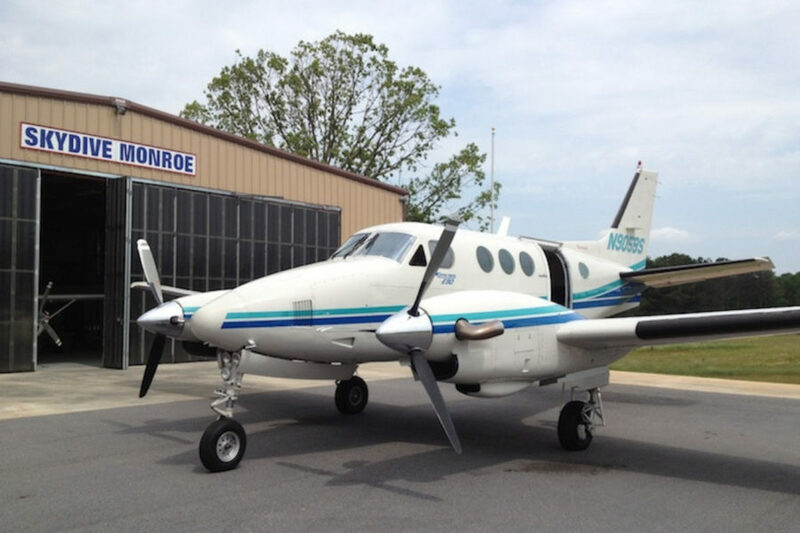 Our beautiful King Air delivers jumpers to 14,000 feet in under ten minutes! And with a 14 person capacity, it is the perfect aircraft for sport jumping with your friends. Our fleet also includes a Cessna 182 which is used regularly for training and tandem jumps. Learn more about our aircraft below. Gets you to altitude in under 10 minutes! Our Cessna 182 is perfect for hop & pops!